Better planning means fewer critical incidents and lower costs. How do I decide whether I need Planned Maintenance Services for my Company? If you run a large company, ensuring your business can run smoothly throughout year is essential to company success. For many, this means employing the services of a planned maintenance company such as MSL. If you are unsure, however, ask yourself whether your business could manage an interruption to its everyday options? Would a leaking roof halt your operation? How would your staff feel about an unwelcome infestation? What would your customers make of unsanitary and dilapidated premises? Every business has a responsibility to maintain a safe, clean and secure environment for their employees to operate in. Ensuring this will lead to happier staff, greater productivity and a generally more profitable operation. Well maintained buildings also provide a lasting return on your investment – whatever their use. How do you keep your facility well-looked after? Maintaining a facility is much more complex and time-consuming than simply checking that the light bulbs are screwed in properly. Identifying all the areas where a facility could develop show-stopping problems down the line, whilst also running your business effectively, can be both a distraction and an uphill struggle. Employing MSL to provide a planned preventative maintenance schedule will deliver a proven and cost-effective way to solve all of the issues, above, whilst leaving you hands-free to concentrate on your job and the reasons you go to work every day. Why can’t you just be reactive to problems? Whilst unexpected problems do have a bad habit of cropping up, reactive maintenance is a core component of any facility’s management strategy (and something we can also help you with), ultimately, it’s always more cost-effective to address a situation before it has been allowed to develop. This approach will avoid unexpected shutdowns, costly repairs and loss of profits. This is where a planned maintenance programme really shines. Planned maintenance is essentially adopting a proactive approach to your building’s maintenance. This means that rather than waiting for problems to develop, your facility is regularly checked and any issues are identified and repaired before an escalation can occur. This takes the form of a planned maintenance schedule – a plan created by us, at MSL, in consultation with you, which has identified all areas of your business that may be of concern. We work alongside you to compile an asset register and agree on the right level of maintenance for each facility. This ensures that potential problems are minimised, therefore keeping your operation running smoothly, your staff happy and your shareholders content. This sounds great – but what does MSL actually do? So, MSL really do provide the complete package. We work with you to understand the needs of your business and tailor-make a programme suitable for your budget. For example, one programme we offer is the MSL Forward Maintenance Service. This is where non-critical issues are grouped together to be completed in one pre-arranged visit, thus reducing the number of call-outs and consequently, the cost. What planned maintenance services do MSL cover? Often a building just needs some TLC. The look and feel of a facility can impact your workforce and affect productivity and so, general maintenance, whilst often overlooked, should be an essential part of your planned maintenance schedule. Unmaintained roofs and gutters can cause huge issues, not just in terms of floods and leaks, but also when it comes to the high cost of repairs. At MSL we can undertake a comprehensive roofing and guttering maintenance programme to ensure that any issues, such as; cracks, broken tiles or blocked gutters, are dealt with quickly, reducing the likelihood of lengthy and expensive repairs. If air conditioning units are not regularly checked faults will start to appear. This will not only cause an unpleasant environment for your staff and customers, but also means that your units will start to expend more energy as they attempt to continue to function. This, in turn, will cause a significant increase in your energy bills. At MSL, we will ensure that your AC units maintenance schedule is appropriate to your facility, and the maintenance is carried out by a highly skilled and approved AC tradesperson. Roller shutters provide an essential line of defence for your business, ensuring that your facility is protected against vandalism and burglary. They also have the added benefit of acting as a deterrent, meaning that not only are you protected from intruders, but that you will likely not be targeted in the first place. Keeping your roller shutters working properly will maintain this vital element of your facility’s security apparatus and MSL have a dedicated team who will solve all issues relating to their correct functionality. Pest problems can bring a business to a grinding halt. Whether that be due to wires being chewed by rodents or staff needing to evacuate following an infestation, preventing pests from taking over must be a priority. At MSL, not only do we treat infestations as they arise but we also carry out inspections, highlight areas of risk and employ preventative measures to ensure that outbreaks never occur. As part of your planned maintenance programme, MSL can provide decorating expertise as well as other related services. Often, smaller problems can stack up which lead to bigger issues down the line. We’ll make sure this doesn’t happen. At MSL, we pride ourselves on creating bespoke, cost-effective and comprehensive planned maintenance schedules. 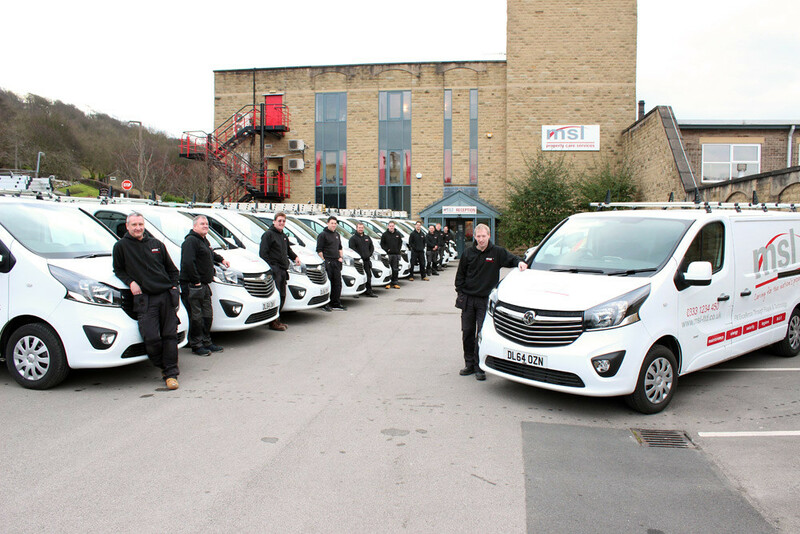 Our planned maintenance services ensure you are able to maintain a safe, healthy and happy environment in which your staff, customers and business can thrive.